Christmas Mantel: beautiful paper honeycomb ornaments, balls, and Christmas tree decorations, combined with eucalyptus garland and twinkle lights. 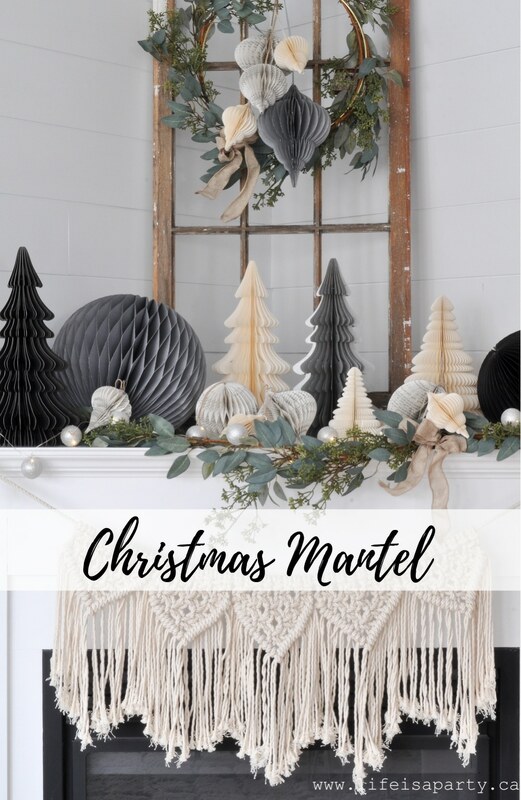 I worked with Amara to put together this beautiful Christmas Mantel and I just love how it turned out. 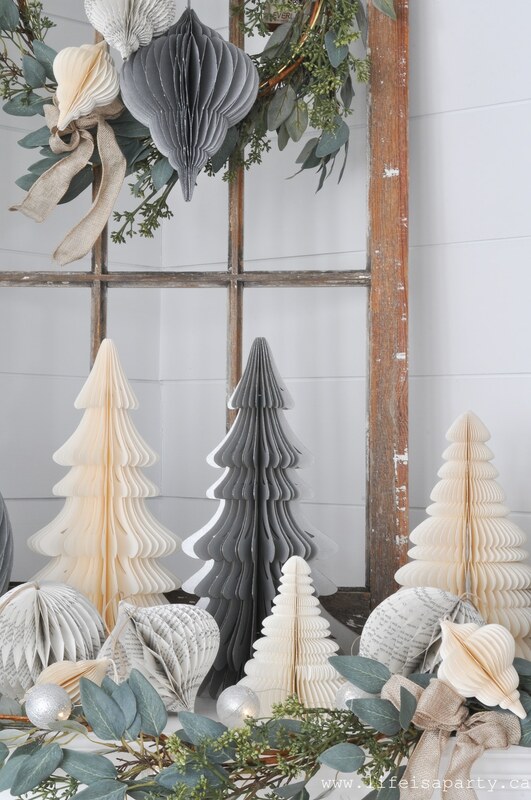 My starting point was their amazing paper ornaments and trees. 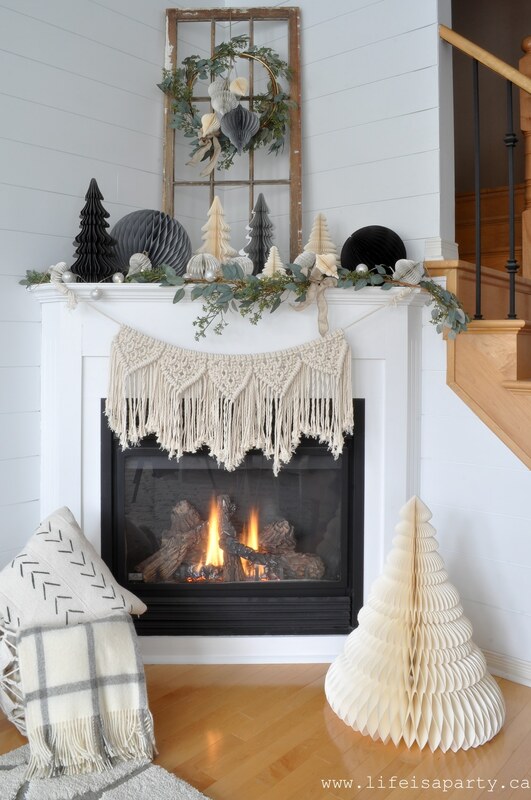 I love the Scandi vibe they give the mantel. I went with a colour scheme of white, grey, and black -you know i love neutrals. There’s only a couple of black pieces, but they really help ground the whole look. 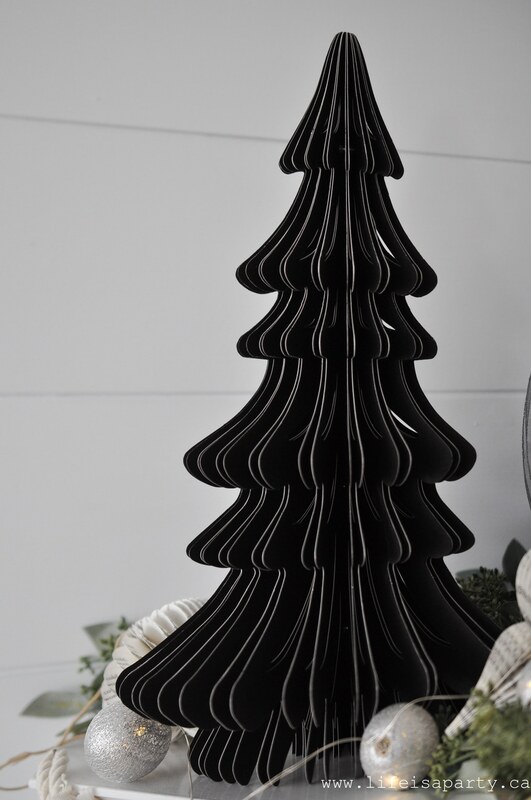 I used a couple of sets of their Christmas trees -the honey comb ones come as a set of three, with the largest one being on the floor. The quality is amazing. 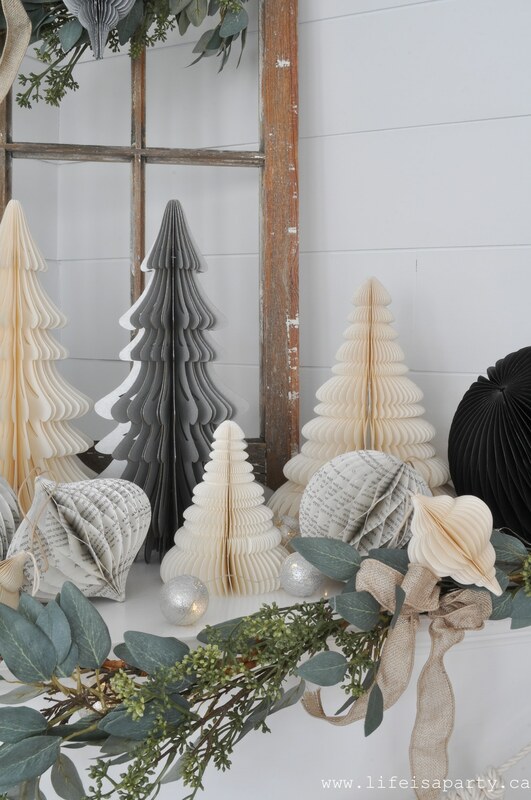 The other Christmas trees are made of cardstock. They also have the most beautiful ornaments. I love that all the paper decorations fold flat for storage, and then open and hold together with magnets. There are different shapes, sizes, and colours including this ivory set. I also added in some of the honeycomb balls for interest. These are not your average tissue paper honeycomb balls. 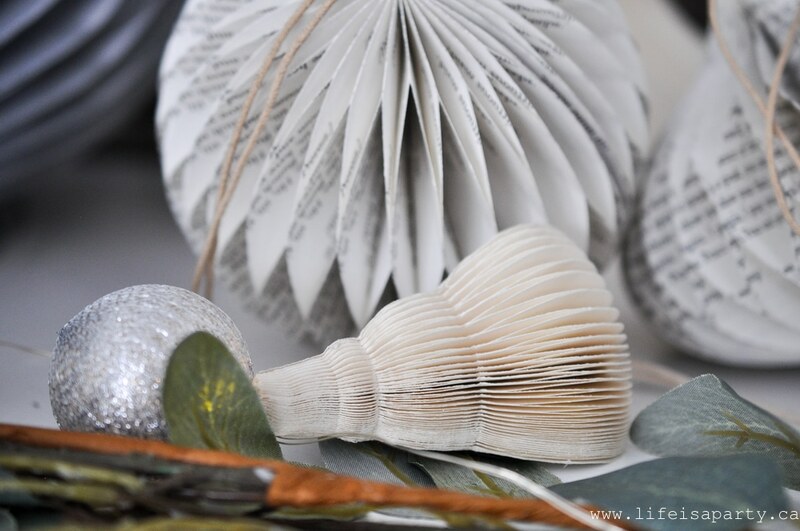 These are made of cardstock and will last for years and years. I especially love the silver honeycomb balls with glitter on the edges. On the mantel I also added the Deco Sage Leaves Garland, -love that it’s seeded and so real looking. 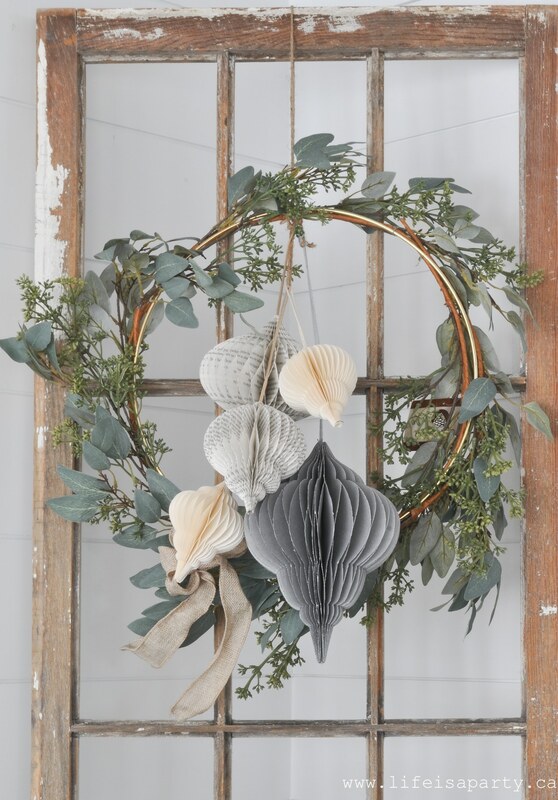 I used a second garland to make a simple wreath. I started with a gold hoop and wired the garland around. In the middle I added another cluster of ornaments. And they’re all hung up on a vintage window pane. 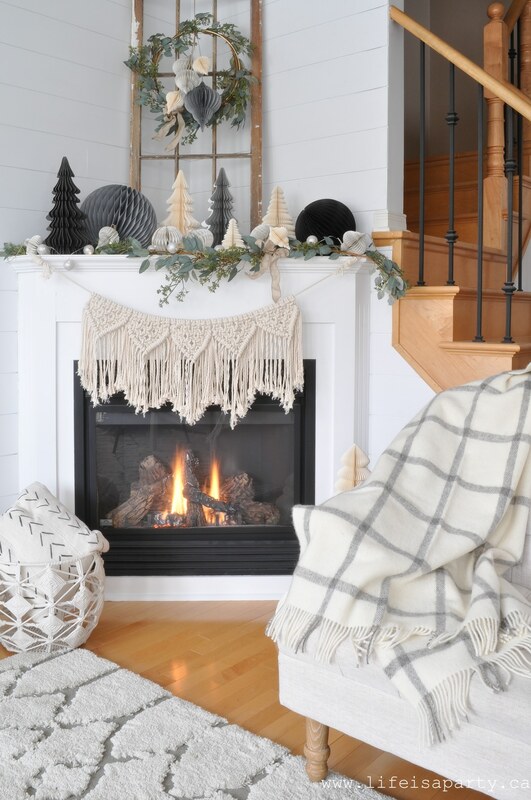 It helps add height to the mantel. 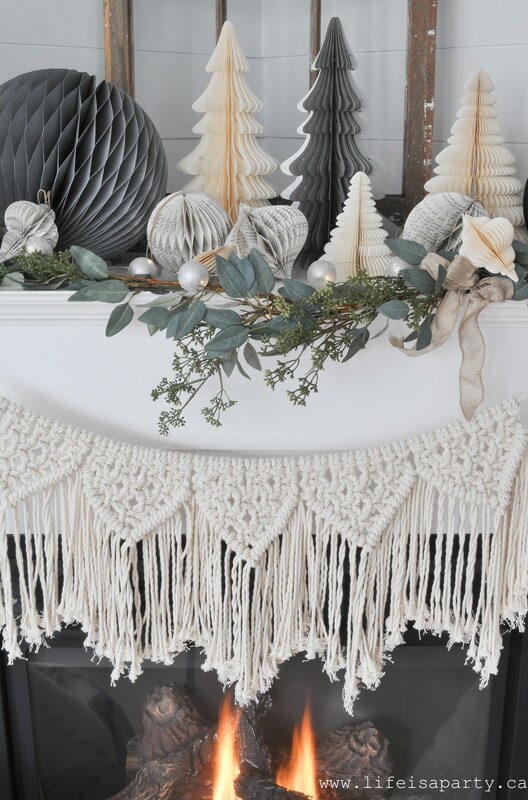 The macrame garland is an easy DIY, you can see how I made it here. I also added in a set of pretty silver lights for a little night time sparkle. 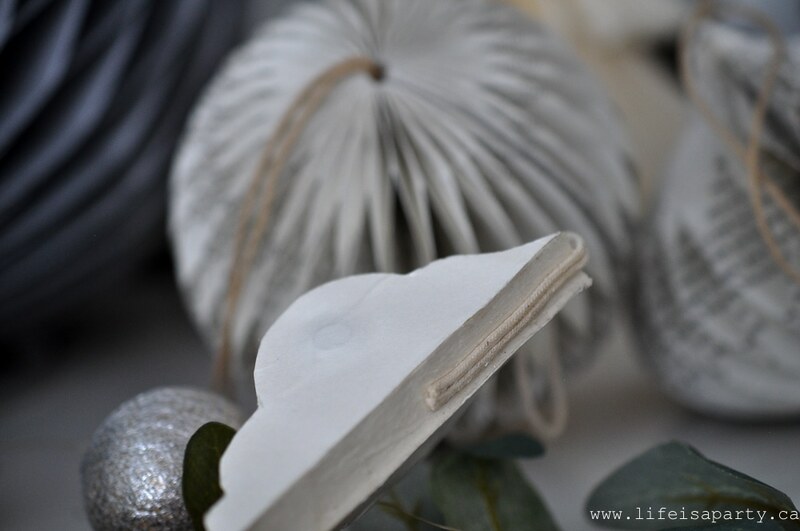 I love how just a few simple paper ornaments make for such a beautiful Christmas mantel. 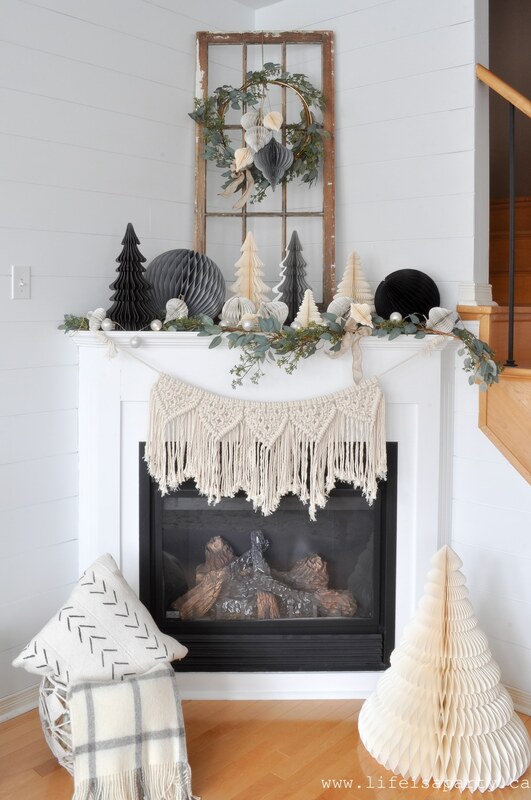 With a pretty Christmas Mantel like this, life really is a party! This post is sponsored by Amara. All opinions, as always, are my own. Thanks for supporting the brands that make Life is a Party possible.